Peshawar: Two years since its inception, Peshawar’s traffic wardens system sputters and stall as the city sinks into the construction chaos of Peshawar Bus Rapid Transport Corridor and enforcers of traffic laws are nowhere to be seen, say residents of the city. Traffic mess, they say, remains the same and rules violations are still common and most of the times go un-checked. In many cases pedestrians and drivers violate traffic rules right in front of the eyes of the traffic police constables. 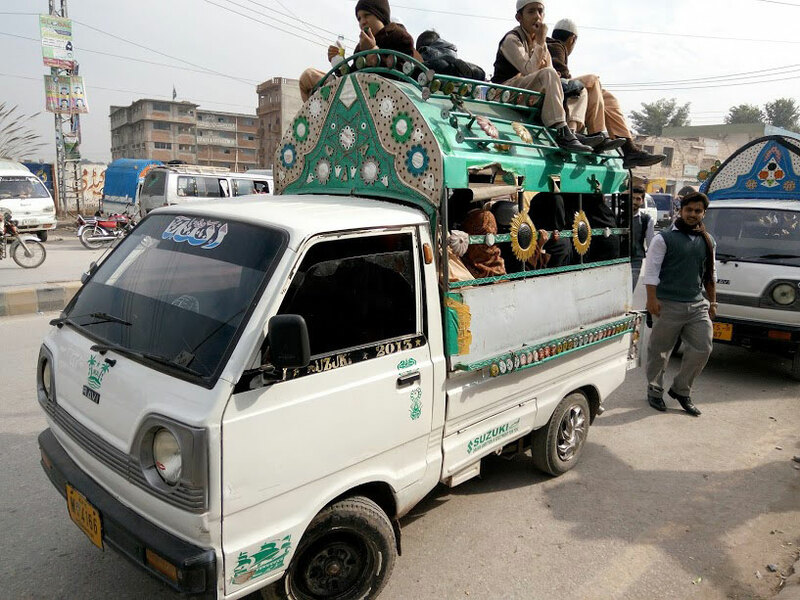 “What are the traffic wardens there for, if they are not doing what they are meant to,” said Mohammad Hafeez, a daily intra-city commuter told New Lens Pakistan. The traffic warden system was launched in June 2015 in the provincial metropolis by PTI-led provincial government of Khyber Pakhtunkhwa to manage traffic on various strategic points in the city through traffic education, facilitation and replacing the old setup. The newly inducted traffic wardens were provided a brand new look: New uniform, supplementary fleet of vehicles, professional training by motorway police and many other facilities. Chief Minister Pervez Khattak and the then Inspector General police Nasir Khan Durrani, while speaking on the launching ceremony, stressed that the wardens would be a permanent and long-lasting solution to the traffic mess and lawlessness on the roads. Since taking over the provincial government in May 2013, a ‘reformed and revamped police’ has been a mantra frequently repeated by the KP government and PTI’s chief Imran Khan. However, ground reality tells different the story and citizens too are not happy, at least with the new traffic wardens performance, if not the whole police. “The new wardens are just ‘a change of uniform’ as millions have been spent on the new traffic wardens, but the huge investment is yet to pay off,” stressed Hafeez. 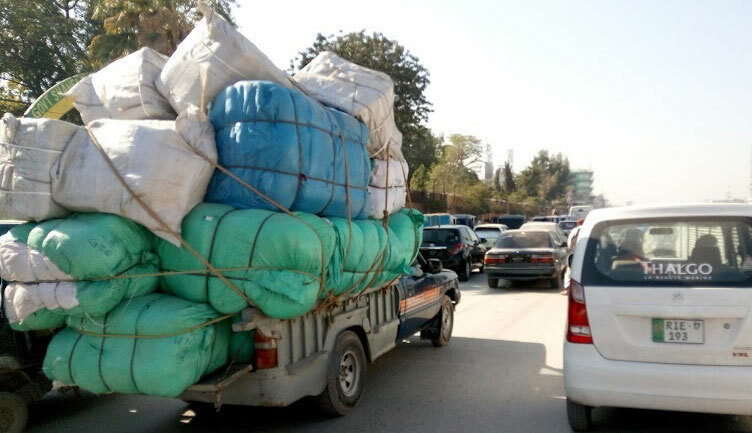 Overloaded vehicle plying on GT road, Peshawar: Photo by News Lens Pakistan. Traffic rules’ violations, he continued, like overloading, driving without seat belt on, license, and with tinted glasses, fake number plates and bikers without helmets were common and could be easily observed in every part of the city. 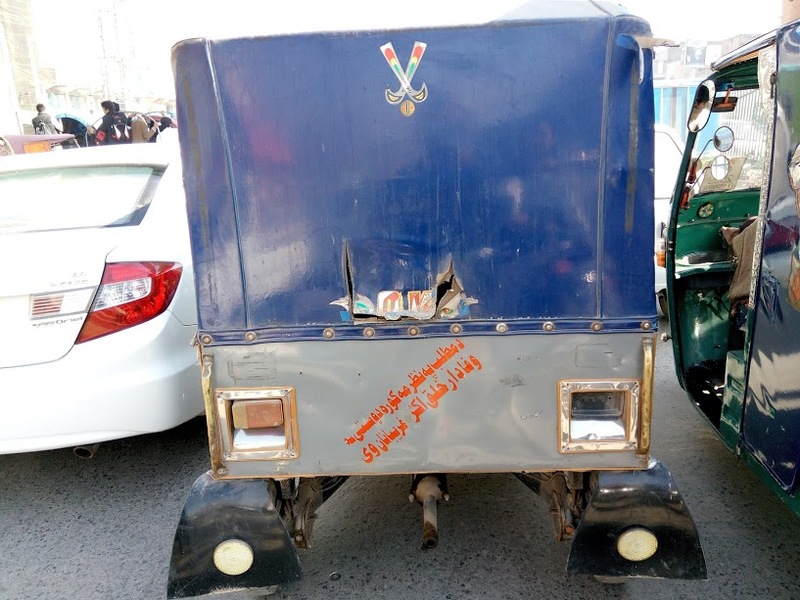 According to official data Traffic Police, there are more than 68,000 rickshaws plying on the roads of Peshawar, 26,000 of which are without rote permit. He said that all the traffic violators including those doing overloading, using pressure horns, tinted glasses, driving without seat belt were being penalised accordingly on regular basis. Many violators, he said, were also being educated regarding traffic rules rather than issuing them fines, like bike riders or rickshaw drivers since majority of them were not aware of laws and could not afford the challans. He said 600 traffic wardens are performing their duty on different venues throughout the city including 150 new-recruited and trained traffic wardens. A traffic warden, on the condition of anonymity told Truth Tracker that initially traffic wardens had started their work very faithfully and zealously but gradually they lost it because they were not given what they were promised. He said government had promised Two-Step Promotion and Wardens Allowance for them but either of the promise was yet to be fulfilled. Interestingly, Yasir Afridi when asked regarding these promises, said that both of promises were fulfilled and wardens were ‘just exaggerating’. When asked if there was any shortage of resources with Traffic Police said, “Yes, of course” but he refused to explain what kind of shortage of resources were they facing e.g funds, manpower, infrastructure etc. “If traffic wardens are not benefitting the citizens, than they and whole system is just a waste of money,” said Hafeez.